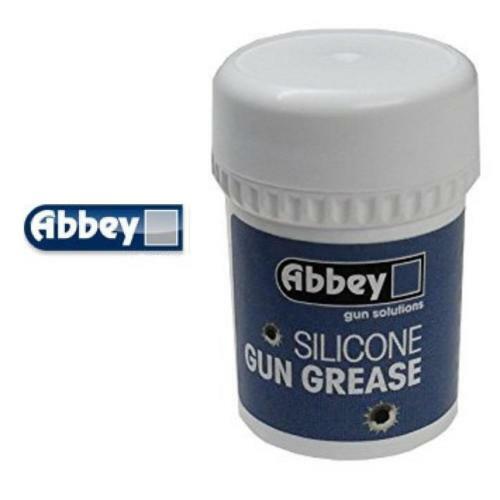 Abbey Silicone Gun Grease is the ideal lubricant for plastic components within airguns. Its low surface tension means it spreads to an even film giving very smooth operating cycles. It will flow over everything including itself. This self healing property ensures you do not have ‘dry’ areas between friction surfaces and ensures a good seal around airgun washers.